We have information you must know before you buy the Tahoe. Supplies of the carryover 2019 Tahoe continue to improve. The mid-level LT is most popular, which is reflected in dealer stock. The base LS isn't far behind, and the ritzy Premier is somewhat rare but very obtainable. Dealers that specialize in truck sales tend to offer better pricing, but no Tahoe is heavily discounted. Unless otherwise noted, factory offers are available nationally and will expire April 30, 2019. It's possible Chevy will enhance incentives for Memorial Day weekend. GMC is offering 7% off the MSRP of 2019 Tahoe models in stock. The discount grows by 2% if you finance through GM Financial, and current customers of non-GM brands get another 2% off. That brings your total potential savings to 11% — or up to $8,525 on the Tahoe Premier. With an effective monthly cost of $761, this lease is rather expensive. There's a lot of room for improvement as the model year progresses. GMC is clearly focusing on MSRP discounts this month, so there is no promotional financing currently. However, attractive rates will probably be available at the dealer level. 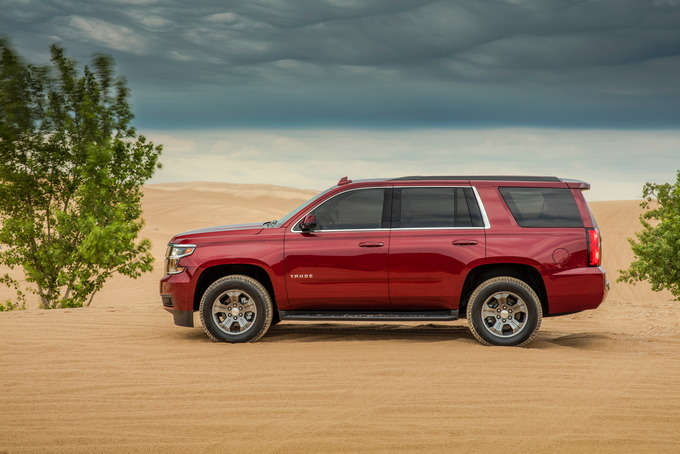 Smaller, more compact SUVs that are easy to drive are all the rage at the moment, but that doesn't mean dinosaurs like the massive 2019 Chevrolet Tahoe aren't popular. The SUV that can seat up to nine, sits on a truck-like frame, and can tow up to 8,600 pounds is still as popular as ever. 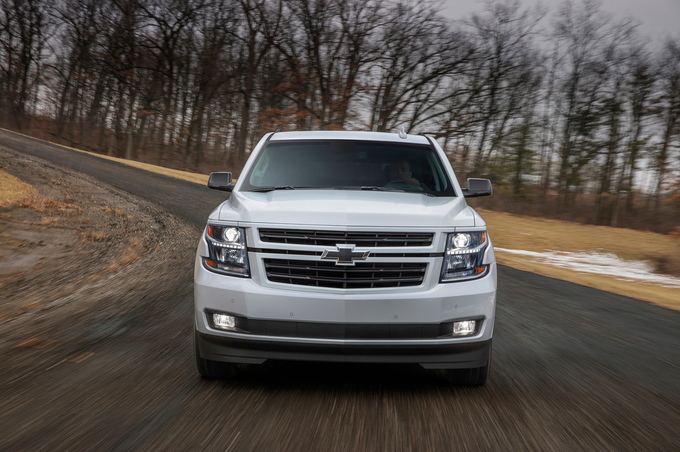 Rumors speculate that the 2019 model year could be the last for the fourth-generation Tahoe, but that hasn't stopped Chevrolet from improving upon the full-size SUV recipe. There's a new Tahoe Premier Plus Edition for the SUV that's an $11,600 upgrade from the regular Premier trim and adds a host of features, including a 6.2-liter V8 engine, a 10-speed automatic transmission, and 22-inch wheels. Other notable equipment on the Premier Plus Edition include Magnetic Ride Control, a 3.23:1 axle ratio, a head-up display, and an eight-inch enhanced driver information center. Other than the new addition, the rest of the changes are small. There's a new exterior color, which is called Shadow Gray Metallic, while Havana Metallic and Tungsten Metallic are no longer offered. Premier trims feature a new tailgate badge. Power for the Tahoe continues to come from one of two V8 engines. The standard motor is a 5.3-liter V8 that produces 355 horsepower and 383 pound-feet of torque. A six-speed automatic is standard for the engine. With rear-wheel drive, the 5.3-liter V8 is rated to get up to 15 miles per gallon city, 22 mpg highway, and 18 combined, according to the EPA. Adding all-wheel drive brings these figures down by one mpg highway. Unlike last year, the Tahoe can be fitted with the 6.2-liter V8 engine without being forced to go with the RST Package. The 6.2-liter V8 generates 420 hp and 460 lb-ft of torque. The engine is paired to a 10-speed automatic transmission. Fuel economy for the 6.2-liter V8 is rated at 14/22/17 mpg (city/highway/combined). When outfitted properly, the SUV can seat up to nine and tow up to 8,600 lbs. The full-size SUV has an impressive amount of cargo space, offering a total of 94.7 cubic feet of space with all of the seats folded. Behind the third row, the SUV can hold 15.3 cubic feet. Fold the second row down and the figure expands to 51.7 cubic feet of space. The 2019 Tahoe LS starts at $49,195 (all prices include the $1,295 destination fee). Adding four-wheel drive raises the price by $3,000 – which remains true for the entire range. 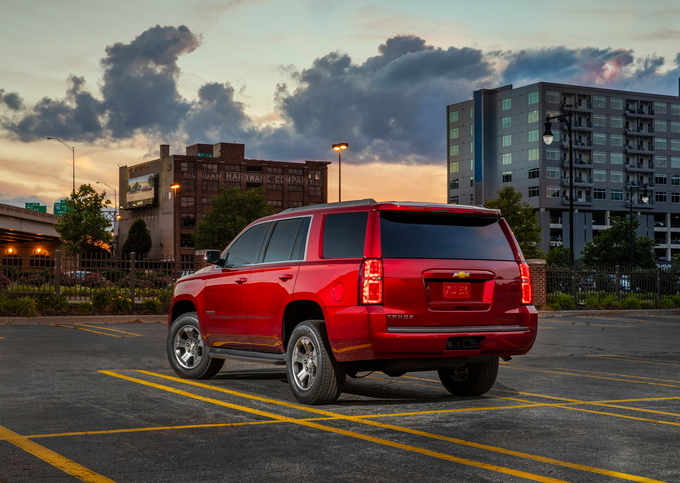 The LS trim may be the most affordable way to get into a Tahoe, but the model is well equipped. Heated power exterior mirrors, 18-inch high-polished wheels, black roof rails, and black assist steps are standard exterior features. On the inside, the Tahoe comes with an eight-inch touchscreen, four 12-volt power outlets, a 110-volt power outlet, tri-zone automatic climate control, cloth front bucket seats, a leather-wrapped steering wheel, a 4.2-inch Driver Information Center, remote keyless entry, remote start, and built-in 4G LTE WiFi hotspot as standard. There are six available packages for the LS trim. The Enhanced Driver Alert Package ($680) adds a host of driver-assist features, including automatic emergency braking, forward collision warning, lane keeping assist, lane departure warning, a safety alert seat, power-adjustable pedals, and intelligent headlights. The Max Trailering Package ($780) brings a trailer brake controller, a 3.42 axle ratio, a two-speed transfer case (for four-wheel-drive models), and an upgraded suspension with air leveler, while the Interior Protection Package ($250) adds all-weather floor and cargo mats. The All-Season Package ($2,880) comes with 20-inch wheels, all-season tires, body-color bodyside moldings, black roof-rack cross rails, the Max Trailering Package, all-weather floor mats, and an all-weather cargo mat. The Custom Midnight Edition ($3,200) includes 18-inch black wheels, 18-inch blackwall tires, black bowtie emblems, black tubular assist steps, and a two-row layout. Lastly, the Custom Edition ($4,200) adds 18-inch aluminum wheels, 18-inch all-season blackwall tires, a chrome grille insert, and a two-row setup. Moving up to the LT trim costs $54,195. Over the base LS trim, the LT gets: leather-appointed seats, a power liftgate, heated front bucket seats, a memory setting for the front seats, a Bose premium nine-speaker audio system, and the equipment found in the Driver Alert Package. The LT trim has nine major to choose from, including the Interior Protection Package and a Theft Protection Package ($410) that adds glass break sensors, door and liftgate lock shields, motion sensors, and a self-powered horn. The Max Trailering Package costs $580 here and comes with a lot of the same features as on the LS trim. The LT Midnight Edition ($1,835) package includes 20-inch black wheels, 20-inch all-season tires, front and rear black bowtie emblems, black roof-rack cross rails, and black exterior paint. The Luxury Package ($2,860) adds a variety of features, including: remote keyless entry with push button start, heated second-row seats, power-adjustable and power-folding exterior mirrors, a tilt-and-telescopic steering wheel, a heated steering wheel, hands-free gesture liftgate, front fog lights, front and rear park assist, rear cross-traffic alert, lane change alert, and blind-spot monitoring. The Texas Edition ($3,110) package includes a Texas emblem on top of all of the Luxury Package's features. The RST Edition ($2,920) brings 22-inch black wheels, black bowtie emblems, a gloss black sport grille, body-color door handles, body-color headlight accents, black exterior trim pieces, and black nameplate badging. Adding the Sun, Entertainment, and Destinations Package ($3,430) includes navigation, a rear seat entertainment system, and a power sunroof. The last available is the LT Signature Package ($6,635) that includes 20-inch chrome wheels, 20-inch all-season tires, bright bodyside moldings, a chrome grille, a polished exhaust tip, chrome recovery hooks, and a chrome assist step kit. Adding four-wheel drive to the LT trim allows you to choose the Z71 package, but it's not priced (Chevy says to "see dealer for pricing"). The package adds a unique suspension, skid plates, unique 18-inch wheels, front sill plates, rubber floor mats, and a unique grille. Other features included in the package include: all-terrain tires, black tubular assist steps, front fog lights, front and rear park assist, black recovery hooks, a 3.42 axle ratio, a two-speed transfer case, bespoke decals, Hill Descent Control, and a high-capacity air cleaner. The Z71 Midnight Edition package costs $2,630 and brings all of the same features on the regular Z71 package, but has black exterior touches. The Premier is the range-topping trim and starts at $63,895. It builds on the LT and adds magnetic ride control, rear cross-traffic alert, park assist, lane change alert, blind-spot monitoring, keyless entry, push-button start, fog lights, HID headlights, 12-way front seats that are heated and ventilated, 20-inch wheels, and memory function for the steering wheel as standard equipment. There are seven available packages for the Premier trim, including the unchanged Interior Protection and Theft Protection packs. The Max Trailering Package is now $300 and adds the same features as it does on lower trims. The RST Edition ($2,630) also comes with a lot of the same features. It's the same situation with the Sun, Entertainment, and Destinations Package, but it costs less than on other trims with a price tag of $2,935. The RST 6.2L Performance Edition ($2,720) comes with the 420-hp, 6.2-liter V8, a 10-speed automatic transmission, a high-capacity air cleaner, a 170-amp alternator, a 3.23 axle ratio, a two-speed transfer case (on four-wheel-drive models), and a trailer brake controller. The Premier Plus Edition ($11,500), which is new for 2019, adds a host of features: the 6.2-liter V8 and 10-speed automatic transmission, 22-inch wheels, a power sunroof, power-retractable assist steps, black roof-rack cross rails, a polished exhaust tip, perforated leather-appointed seats, second-row power bucket seats, an eight-inch Driver Information Center, a head-up display, a rear seat entertainment system, a cargo area organizer, a high-capacity air cleaner, a 170-amp alternator, a two-speed active transfer case (on four-wheel-drive models), a 3.23 axle ratio, and a trailer brake controller. 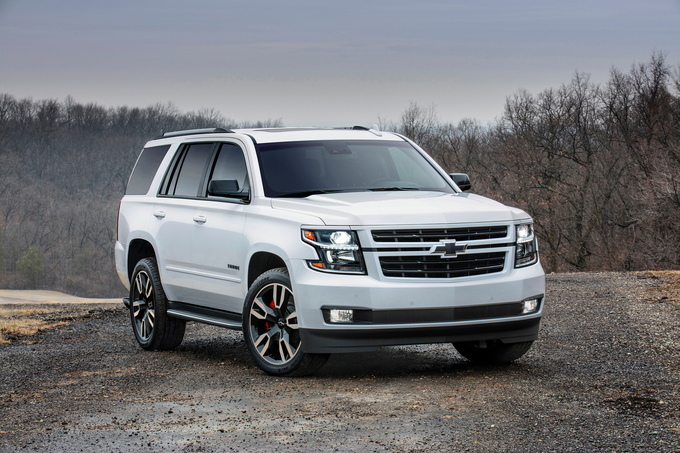 Despite the addition of the Premier Plus Edition that brings everything we love from the RST Edition and adds some luxury features to the mix, tacking an extra $11,500 onto the price tag of the 2019 Chevrolet Tahoe is tough to justify. While extravagant, the Premier trim with the RST 6.2L Performance Edition and RST Edition packages is the one we'd go for. The LT trim, though, has a good mix of standard features and options, most notably the Luxury Package, that makes it the best choice for the majority of consumers. 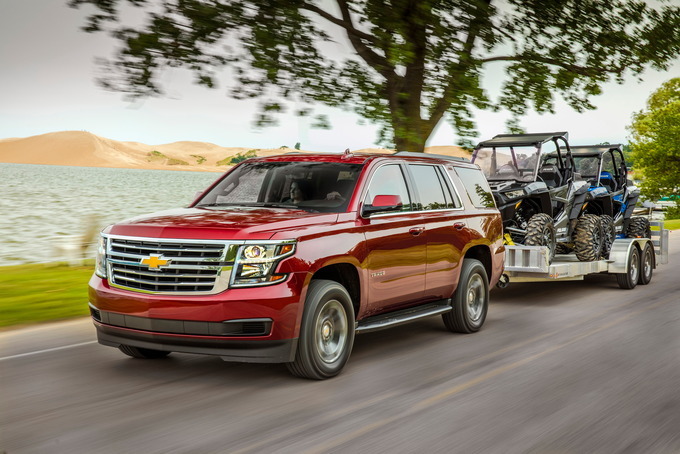 The 2019 Chevrolet Tahoe marks the last year of the current generation with a new top trim, while retaining its truck-based utility, a pair of muscular V8s, a luxurious interior, and an abundance of options. Holding it back is the lack of a diesel or hybrid model, an oddly high cargo floor, and truck-like handling. Prices for the 2019 Chevrolet Tahoe start at $49,195 for a rear-wheel-drive LS, but rises to over $81,000 for the new Premier Plus Edition with all the trimmings. Two engines are offered. Most models feature a 355-horsepower, 5.3-liter V8 paired with a six-speed automatic transmission, while buyers who opt for either the RST Premier Edition with the Performance Package or the Premier Plus edition will find a 420-hp, 6.2-liter V8 under the hood mated to a 10-speed automatic, as well as Chevy's Magnetic Ride Control suspension. Base LS models come with a boatload of standard features, including third-row seating, 18-inch alloy wheels, an eight-inch touchscreen, power front seats, satellite radio, Bluetooth, Apple CarPlay and Android Auto capability, three-zone automatic climate control, 4G LTE and available WiFi hotspot, a rearview camera, and rear park assist. Drivers with cargo to haul should appreciate the standard locking rear differential, auxiliary transmission oil cooler, seven-wire harness, trailering hitch platform, two-inch receiver, trailer sway control, external oil cooler, and hill start assist. Forward collision warning, automatic emergency braking, lane departure warning, lane keeping assist, and automatic headlights with high-beam assist are optional on the LS and standard on the LT and Premier trims. Featuring a truck's character and more ground clearance than most of the competition, the Tahoe's 5.3-liter V8 is strong and pairs well with the six-speed automatic transmission, and can run on four cylinders in low-load situations – a boon to fuel economy. Mated to a smoother 10-speed automatic, the 6.2-liter V8 offers 28 additional hp and, more importantly, 254 additional lb-ft of torque at a penalty of just one mile per gallon city, while highway and combined mpg is identical. 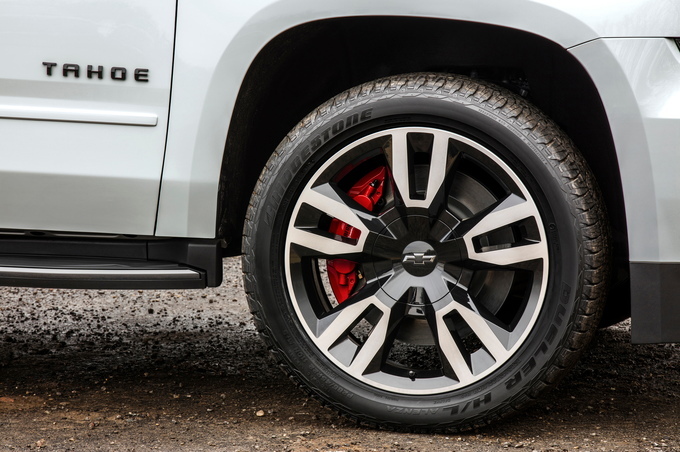 Coil springs improve the outgoing Silverado-based solid rear axle's ride quality, while models with 17- and 18-inch wheels ride the best, with good body control and a relaxing ride. Towing is firm and level, while the tow/haul mode prevents the gearbox from downshifting too quickly – an advantage when towing smaller trailers. But compared to competitors, handling is ponderous, with optional 20- and 22-inch wheels firming up the ride without improving handling. 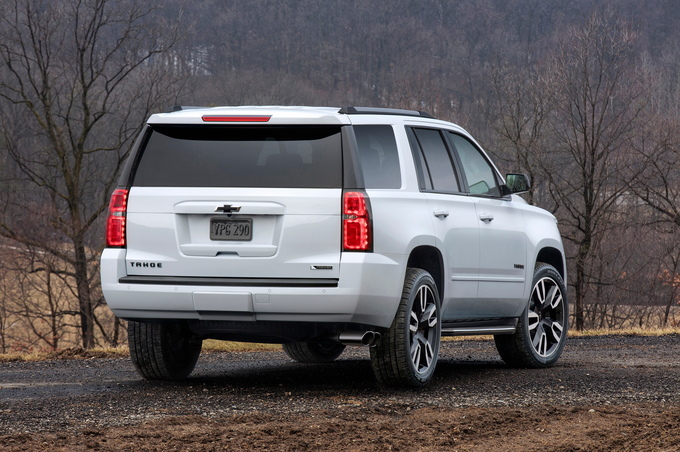 And, despite nearly eight inches of ground clearance, the Tahoe's overall size hinders its off-road capabilities. The Tahoe continues to share its underpinnings with GMC's Yukon and Denali models as well as the Cadillac Escalade, with a design that's the most conservative of the four. A chrome-laden grille and semi-split headlights offer more style up front than the plainer rear fascia, and it's wrapped around a voluminous interior (15.3 cubic feet behind the third row, 52 cubic feet when it's folded, and a total of 95 cubic feet with both rows folded). The feeling is upscale with a slick-looking dashboard featuring high-mounted controls, and all-day comfort buckets up front. The second row's middle seat is fine for two on extended trips, while an optional set of captain chairs offers easier access to the third row. Second row outboard passengers will find adequate head room and leg room, although a middle passenger makes things tight. Opting for the more comfortable middle row captain's chairs lowers passenger capacity, but allows easier access to the third row, although only children will find it comfortable for long trips. Finally, picking the third row delete option won't result in more cargo capacity since, oddly, removing it doesn't affect the height of the load floor. The Tahoe's strong engine lineup, comfortable interior, and smooth ride are offset by its immense dimensions, truck-like handling, and poor fuel economy due to the lack of a diesel or hybrid drivetrain. A comfortable, spacious interior, day-long ride comfort, and available safety features should appeal to family buyers. At the same time, the Tahoe's dismal fuel economy – though impressive for its class – is sure to turn off eco-conscious buyers. Despite a smooth ride, strong V8 choices, impressive interior room, and the addition of a more luxurious top trim, the 2019 Chevrolet Tahoe only manages a mid-pack score due to truck-like handling, large proportions, and fuel economy numbers that fall short of equally spacious crossover SUVs. 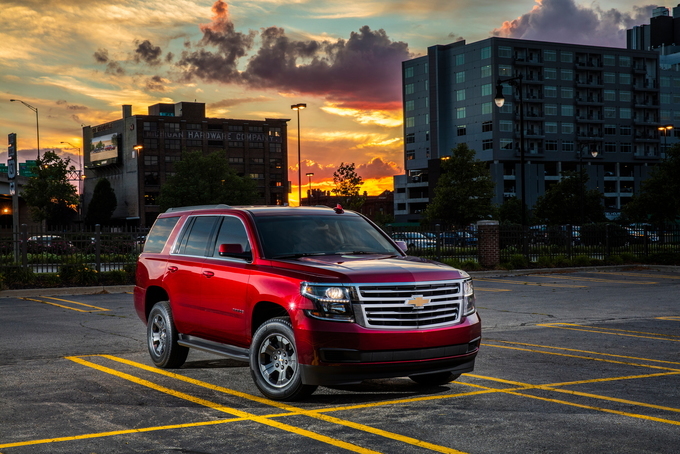 We have partnered with trusted dealers in your area to give you a great price on the new Chevrolet Tahoe.